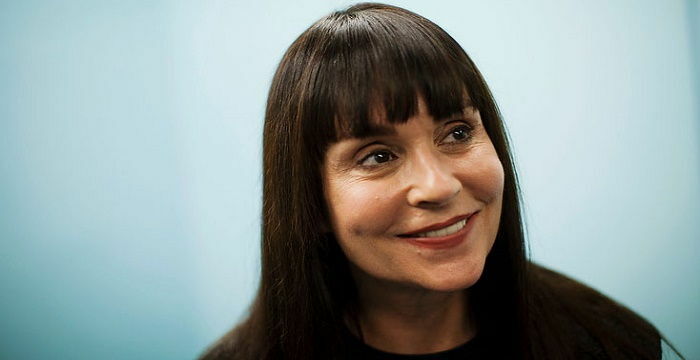 At a time when some roles were strictly meant for men only, Diane Venora broke the mould when she became the first female performer to be cast in the title role in Shakespeare’s Hamlet. Since then, she has continued to make bold statements with her roles in the theatre, in films and on television. Her other notable roles include Bird, Thunder Alley, Chicago Heat, and Heat. Here is every other thing to know about her. The actress was born to Marie (née Brooks) and Robert P. Venora on the 10th of August 1952, in East Hartford, Connecticut where she was raised alongside five siblings. She was born under the sun sign, Leo. Her father was of Italian descent and owned a dry cleaning establishment. As a child, Diane Venora had an instinctual calling for singing and acting and took to the path afterwards. She was active in her school’s musicals and plays as well as in other activities. She attended East Hartford High School where she graduated from in 1970 after which she proceeded to Boston Conservatory of Music where she studied music for two years. In 1973, she won a full scholarship to the prestigious performing arts school, Juilliard School, New York City, graduating in 1977. There, she joined the Drama Department and was in the same group with Kelsey Grammer, Harriet Sansom Harris, and Robin Williams. Following Julliard, Diane Venora took to the theatre. Her initial performance was in an Off-Broadway play titled Penguin Touquet in 1981. Prior to that, she had already launched her acting career with a role on the TV short film Getting There in 1980. Venora performed extensively on stage, particularly in Shakespearian plays. In 1983, she landed the lead role in Hamlet at the New York Shakespeare Festival, becoming the first and only female performer to achieve the feat in the history of the festival. Her first film appearance was in the 1981 crime horror flick Wolfen, co-starring Gregory Hines. Throughout the 80s, she appeared in other films such as The Cotton Club (1984), Terminal Choice (1985), F/X (1986), and Ironweed (1987). That same decade, she had a turning point in her career when she appeared in Clint Eastwood’s biopic, Bird as Chan Parker, the wife of the legendary jazz great Charlie Parker. Her performance was critically acclaimed, earning her a Golden Globe Award nomination, the New York Film Critics Circle Best Actress Award as well as Sant Jordi’s Best Foreign Actress award. After a long hiatus which she took to take care of her daughter, Diane Verona made her comeback in 1994 with a TV role in the ABC series Thunder Alley. It was followed by a recurring role in the Emmy-winning TV series Chicago Hope as plastic surgeon Dr. Geri Infante. In 1995, she had a starring role alongside Robert De Niro and Natalie Portman in Heat as Al Pacino estranged wife, Justine Hanna, which earned her rave critical reviews. Thereafter, she had other notable roles in such works as Romeo + Juliet (1996), The Jackal (1997) opposite Bruce Willis and Richard Gere, The 13th Warrior, and The Insider, both in 1999. Her other film credits include Self Medicated (2005), Follow the Prophet (2009), and All Good Things (2010). The 2005 film won the Best Ensemble Cast at the Phoenix Film Festival. On TV, she also racked up significant credits such as Race Against Time (2000), Criminal Minds (2006), Private Practice (2009), Grey’s Anatomy and The Wish List, both in 2010, and The Victorians (2016). Following her performance at the New York Shakespeare Festival, she struck a remarkable relationship with Shakespearian Hamlet. She went on to portray the title role in various venues on numerous occasions including Ophelia opposite Kevin Kline in 1990, Hamlet’s mother Gertrude to Liev Schreiber‘s woeful prince in 1999, and again as Gertrude in the 2000 film, Hamlet opposite Ethan Hawke. In 1980, Diane Venora married Polish cinematographer Andrzej Bartkowiak whom she met the previous year while working on a commercial for Head & Shoulders shampoo. The duo had a daughter named Madzia Bartkowiak who was born in 1981 but unfortunately, they divorced when she was only eight years old. Following the divorce, she took time off her work, about seven years to focus on her daughter, who she made clear was her priority. Her daughter is partially deaf from a degenerative nerve condition and was subject to panic attacks. During that period, she stayed close to home, teaching disadvantaged children, and acting in occasional plays. The veteran actress has really come a long way in her career and in turn, has racked up quite a fortune for herself. Various sources have estimated variable amounts as her net worth, thus, it could not really be substantiated what the figure is. However, one thing is certain: it wouldn’t be short of something great and deserving. Diane Venora was last seen on TV in the made for television movie, The Victorian in 2016 as Mary Rutherford. She definitely have some projects up her sleeve and would let us in when they have fully blossomed. Venora is 1.65 metres (5′ 5″) tall. Though her weight and other body measurements are not known, they are nothing less than amazing going by her good figure. Her age-defying physique is further accentuated by her dark brown hair and beautiful brown eyes.